El Himma and Znagui appointed advisers to the King, some murky constitutional points have been discussed with the appointment of ambassadors, but not enough attention has been paid to an interview given to Al Massae newspaper by Najib Boulif – quite interesting a read for anyone interested to know what the PJD-led government has in store for taxpayers; and it is not pretty. He was a brilliant debater on public finances issues, and he would do an excellent government official, at the Finance Ministry perhaps. 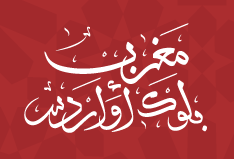 من المفيد التقديم لهذا الحوار ببعض العموميات، المتعلقة أساسا بكون البرنامج الانتخابي للعدالة والتنمية هو برنامج تقدمنا به للحصول على أصوات الناخبين، وهذا البرنامج الآن من المفروض أن يطرأ عليه بعض التغيير لملاءمته مع برامج الأحزاب الحليفة التي ستشكل الحكومة المقبلة، بمعنى أن برنامجا جديدا سيخرج للوجود، وسيكون أرضية عملية للتصريح الحكومي المقبل. So his party’s pledge to increase GNI per capita 40% by 2016 is severely handicapped once he admits the 7% GDP growth is not an average for the next 5 years, but rather an upper bound for what is realistically more around 5%. 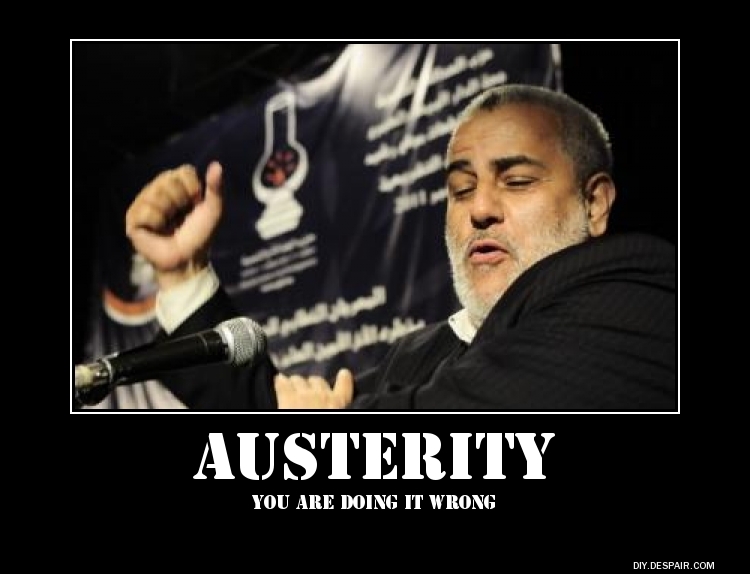 Sure, Morocco needs far-reaching structural reforms, but by belittling their commitment to the 3% limit, PJD admits implicitly it will not implement all of the reforms it vows to carry out in their manifesto: rather, they prefer to be a short-term nanny state, and not take on the big subsidies and generous exemptions every budget has in store for real estate developers, big farmers and others enjoying rent-like activities or near-monopolies. It is sad indeed that Rep. Boulif did not put forward any scheduled plan to reform the compensation fund in this interview; he was evasive enough about the outgoing government’s aborted project to set up a 2Bn ‘solidarity fund’ (a fig leaf for the proposed amount really) but did not provide quantitative targets in terms of tax reforms or levied receipts per tax class. I’d prefer not to mention the public debt, first because the re-elected member of parliament for Tangiers didn’t mention it, and second because it is a ticking time-bomb ready to blow in less than 5 years’ time if the next finance minister doesn’t do something about it. The same evasiveness was displayed when asked about how the next government will raise Morocco’s competitiveness: though his answers were indeed aimed at improving Morocco’s performances in terms of balance trade and payment, but for all the rhetoric about “improving the domestic economy”, there is a lack of clear policy about how to improve productivity -this, I believe, is what Rep. Boulif might have had in mind- other than provide small businesses with a preferential status for public procurement; and somehow, this failure to put forward precise policies to increase productivity sheds a great deal of doubt on how the next government will get growth rate to the level of 7% – without triggering inflation significantly above BAM’s target rate of 2%. And he is right in that a strong and large middle class base is the best way to insure stability and a certain equality in income distribution; but in his view however, achievement of such goal is restricted only to those working in the public sector -presumably, a USFP-turned PJD constituency- he seeks to defend and protect their relatively stable and safe income; but again, he fails to provide comprehensive policies other than placebos: on consumer protection, social security and other equally important issues, though these rank secondary to the crux matter of increase median incomes in real terms, instead of letting them slip behind GNI growth and the more affluent. There’s a lot to go on about, but my opinion of that interview is that PJD has had quite a harsh reality check. The petulant Head Of Government-elect Abdelilah Benkirane will have a hard time trying to boost the economy as his party experts already go on to tell the press that they have no magic wand; For those first-time PJD voters in the business community, I am afraid the disillusion will be somewhat painful: the new government is as unlikely to take on tough structural reform as their predecessors failed or refused to do so. The first test, as Rep. Boulif put it, is the compensation fund reform: if nothing is done by the end of 2012, then whatever PJD will say and spin about its economic message will be unable to cover their utter incompetence on economic issues. This is not about the election itself, but rather how each caucus holds on to their seats, and more importantly, how strong is the PJD conference. I suggest that their now nationwide appeal is not as strong as it seems, and though they remain by and large the leading political party in parliament, many of their seats are ‘marginals’ and could be turned by PJD’s competitors in 2016 – if they do not perform well. Trouble is, they perform far far better than their competitors; so their apparent weaknesses are of no immediate worry to them. But PJD’s seats are not the only marginals around: other parties have had a hard time snatching their owns, and in the end, every mainstream party (that ranges from PJD to PPS) have some relatively safe seats, and others their representatives must work hard to retain their constituencies. The very existence of PJD marginals, in my opinion, shows that these elections have been, on the whole pretty open, transparent and ‘clean’: under different circumstances, gerrymandering and other nasty ballot-stuffing manoeuvres (from pro-regime candidates, for instance) would have deprived PJD from a dozen seats we shall have a look at later on. I may be at odds with many who disparaged these elections as non-representative and organized within an undemocratic constitution, but I feel the topic at hand is a very good start of mainstream parliamentary democracies: where are the strengths and weakness of various political forces, and how much does it take to unseat them, as part of the dynamic, democratic renewal of governments. 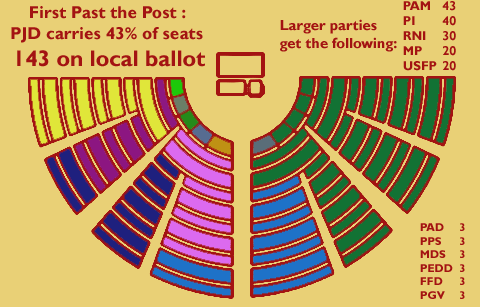 First off, the present ballot system still handicaps rising challengers; it was, it seems, the only viable compromise between a homogeneous parliament house with large party caucuses, and the possibility for smaller parties with regional appeal to gain representation. We cannot also rule out the need for the Interior Ministry to maintain their grip on various constituencies, and thus predict (if not force some of them) results fitting their own agenda. Once data relative to each seat’s votes are released, we can even dive into interesting simulation of other ballot systems; yes, PJD could significantly improve or downgrade their performance, depending on the selected ballot system; Is there an ideal system that would promote democracy and government accountability? Political scientists tend to think not. But nonetheless, public debate and collective involvement with the decision-making process can insure the selected ballot system would fit the citizen’s needs. Le scrutin a lieu à la représentation proportionnelle suivant la règle du plus fort reste sans panachage ni vote préférentiel. Toutefois, en cas d’élection partielle, celle-ci a lieu au scrutin universel à la majorité relative à un tour lorsqu’il s’agit d’élire un seul membre. Party A gets the first seat, and retains 3.000-2.473= 527 votes. Party B gets the second seat, and retains 2.400-2.473 = 73 votes. Party A carries the third seat because its residual votes outmatch Party C’s 500 votes (by 27); the district allocates therefore two seats to A and one to B. If Party C had managed to get a dozen more votes, it could have well carried that last seat – their own, marginal seat so to speak. 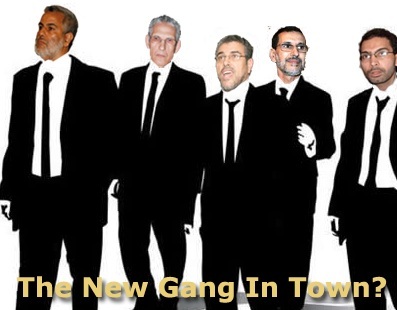 What’s a marginal in Moroccan parliamentary politics? Let us consider the example of a large district – i.e. 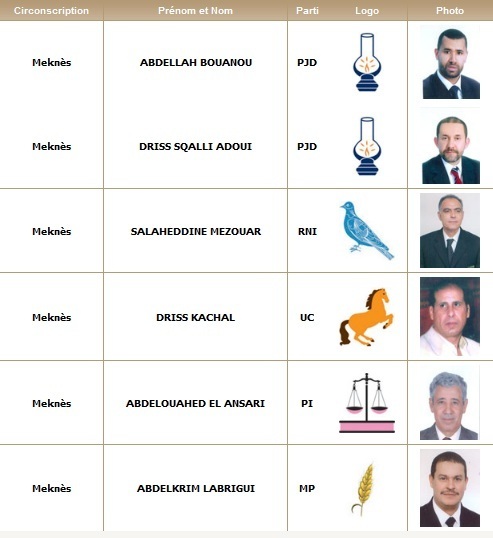 with many opened slots for candidates: the newly unified Meknes district has 6 seats, and these have been filled as shown on the picture. In absolute terms, all parties but PJD are marginals; but because of the proportional ballot system, only MP is. 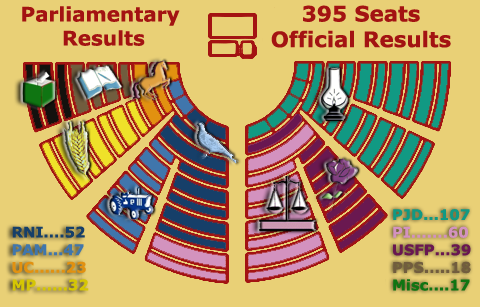 Now, following the existing ballot system, PJD has most votes, but not enough to capture all available slots, though enough to gain 2 out of 6, a rather strong showing considering how large the district is, and the stiff competition around it (there were 150 candidates competing for 25 parties) MP, on the other hand, has barely got enough votes (just above the electoral coefficient computed to get a shot) Representative Abdelkrim Labrigui (MP – Meknès) holds therefore a marginal seat – the likelihood of losing his seat next election is contingent on a small number of votes; by contrast, outgoing finance minister and maiden representative, Salaheddine Mezouar, has managed to scrap enough votes to elect himself, and it will take more votes to unseat him; the same can be said of Representative Abdellah Bouanou, whose votes have been large enough to get him and his n°2 elected; in that respect, Bouanou holds a relatively ‘safe’ seat – relative to what PJD managed to carry in other constituencies, as we shall see later on. PAM, on the other hand, has relatively weaker safe seats: 2 seats out of 3 in Rhamna (obviously) and the others are all two-seats openings (Bodjour, Jerada, Mdiq-Fnideq, Mediouna and Zag) and remains perhaps the only party with a regional stronghold. Istiqlal has Laayoune (2 out of 3) and that’s about it. 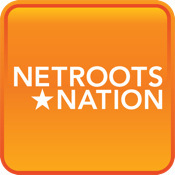 USFP, RNI and MP do not get more than one seat per district, and more often than not, they do not get the n°1 seat. 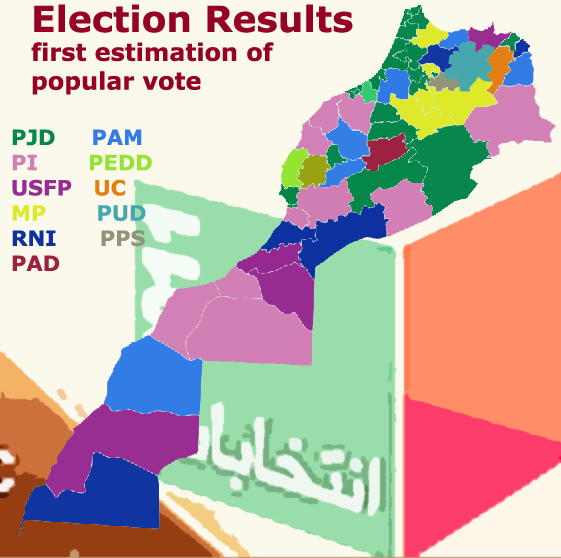 PJD have their own, marginal seats as well: Chefchaouen, Kalaat Sraghna, Khemisset-Oulmes, Laayoune and Nouaceur representatives have had just enough votes to put them in the ballot and carry the last opened seat. Speaking of marginals, there are three parties, whose caucus is made up of a significant number of highly-fought for seats on local ballot: Istiqlal has 16 marginals (out of its 47) USFP and PAM have each 11 marginals -out of respectively 30 and 35 seats. As far as USFP and Istiqlal are concerned, these are tale-telling sings of weak national parties, in a complete contrast with PJD’s vitality and aggressiveness. – There are 92 districts (divided into 305 seats) on local ballot; national ballot just mirrors the results to provide representation for women and the youth. Results are astonishing: almost half of all 92 districts are led by PJD candidates (now Representatives) and other parties see their parliamentary caucuses go through some dramatic changes; for one, First Past The Post does not reward mediocrity: it is alright to get candidates elected on the second or third opened slot, but it is a bit worrying not to manage to get the lead seat. These results, I hope will be further vindicated once detailed figures are released, but it is clear PJD is, by far, an underestimated winner. Other parties, if anything, barely held to their seats, and to the seemingly other winners, their marginals -the surest sign of weakening popularity- make up a worrying percentage of their caucus’ seats. So Tuesday the 29th was the day His Majesty the King gave audience to PJD premier and (elections) conqueror Abdelilah Benkirane to form the next government. The mounting opposition, inside and outside parliament will be stiff and resolute no doubt. The 100 days of honeymoon a maiden government usually enjoys with the press and the people will not be for PJD’s to expect: parliamentary opposition already gathers bitter election losers PAM and RNI have announced their decision to join the opposition, and their self-styled ‘natural party of government’ streak will fuel their resentment toward PJD. 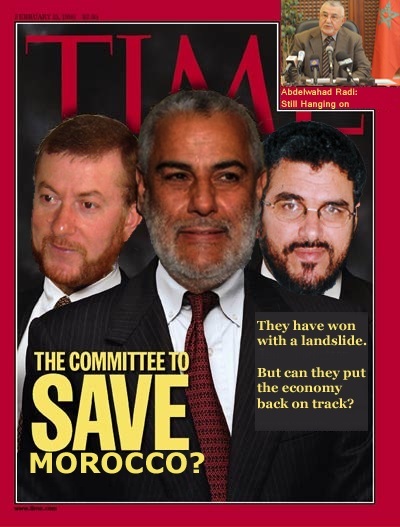 The Committee to "Save" Morocco indeed. Outside parliament, various civil society groups will also pressure PJD because of the party’s own conservative line on art, gender equality and other issues that alienates them the support, or even remote sympathy from liberal groups. Even those who voted for the party, from all the walks of life with different and pressuring expectations, will not wait long, and I wager many have set the bar very high when it comes to the next government’s performance on the job. And I count myself among them: I abhor the party, their ideology, their social conservatism, and right from now, 2016 should be their demise, but on the merits. They prove to be an adversary of substance (contrary to shallow Istiqlal, RNI or PAM for instance) and that alone is great news, because now a real debate is going to take place. 7% is not going to be achieved for the next straight 5 years. As a matter of fact, it has never been observed ever since 1960 -save perhaps for 1967/1971- and it is very unlikely to kick in again in the next decade. 3/ check whether real GNI per capita per decile below median is positive. Perhaps Dr. Najib Boulif can shed some light on his party’s proposed 40% increase: assuming their forecast for 7% is not going to happen before 2016, then how will they allow for the 40% increase in average GNI per capita? That is, of course, the best possible projection, given a very stable (linear, in fact) growth rate at 7.5%. Unless the next Finance Minister prepares for some mini-recession and two-years-long boom to perform a 7.5% average growth (for instance, 4% in 2013, 9% in 2014 and 2015) which might not be a smart move after all – but then again, PJD will have to renege on their commitment to increase average income per capita otherwise. 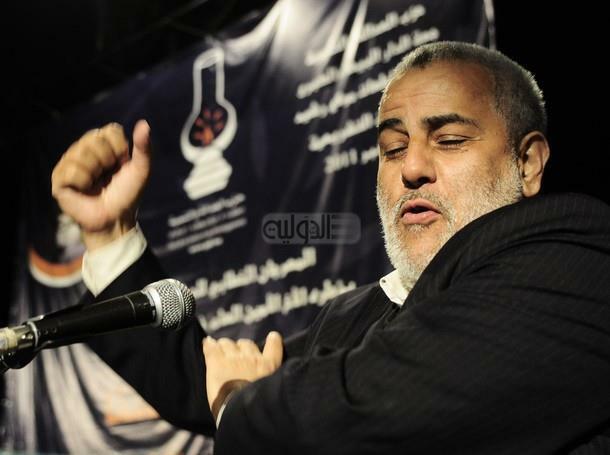 There is also another occurrence I should perhaps mention, one that wouldn’t reassure on PJD’s supposed economic competence: Mustapha Ramid, an outspoken PJD leader and likely minister in the next government, has dropped in during a Radio interview that his government will not shut down alcohol shops, but would stop delivering licenses to new ones. Supposedly, this is to enforce a certain quarantine on alcohol sales, on the grounds of religious prohibition. This might be alright, but by doing so, PJD is hurting two sides of the Alcohol market: consumers and local producers. The argument goes as follows: first, assume the administration in charge of delivering licenses to alcohol shops and bars has a precise model that helps pricing these licenses (these are purchases one way or the other, of course) and thus, establish a certain barrier to entry more or less built around projected gains from using this license. So far, these permits limit alcohol-selling markets to an oligopoly, with known profits and exogenous prices (set by the same administration). If indeed no additional licences are sold, then perspectives of incumbent license-holders just become brighter: they know that for a certain period of time, no additional competitor will enter the market and force a redistribution of the existing rent, and instead, they will just keep on sharing the same -if not a larger- alcohol consumption among themselves. Good news for alcohol vendors, bad news for consumers, and PJD has unwillingly helped those they seek to phase out. Even if the administration does not have a built-in model to price these licenses, the result still holds: incumbent vendors increase their share of profits and surpluses, while consumers have to submit to the paid price, or worse, go for contraband alcohol, hazardous and dangerous. This tedious explanation illustrates my point: even if PJD’s policy increases alcohol prices, all data points out to a stable or increased consumption of beverages, provided the +40% in average income is acquired. I fear Professor Najib Boulif has not had a harder look at the regression tables provided by HCP in their household consumption surveys. And there goes my initial argument: it is true the new batch of PJD representatives and maiden ministers earned prestigious degrees and high education, but when it comes to practical, evidence-based policy, Mr Ramid goes off-roads and his fire-and-brimstone rethorics does nothing but harm the economy with no alternative policy to make up for the welfare loss. 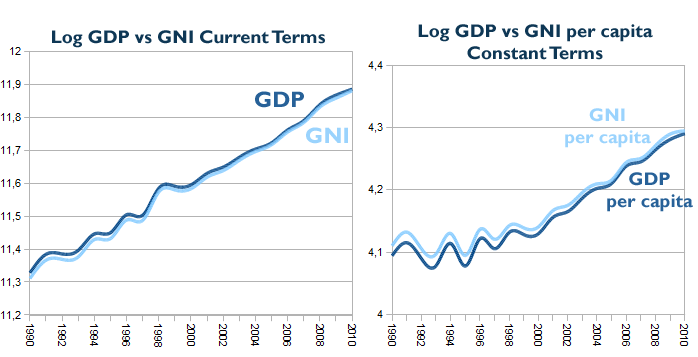 As for Dr Boulif, his admission of failure to secure the 40% raise in GNI per capita also translates his party’s early loss of what could well be the next election’s campaign theme: the party’s economic competence.